We’re super excited to announce that from September 4th – 9th we’ll be on the road! 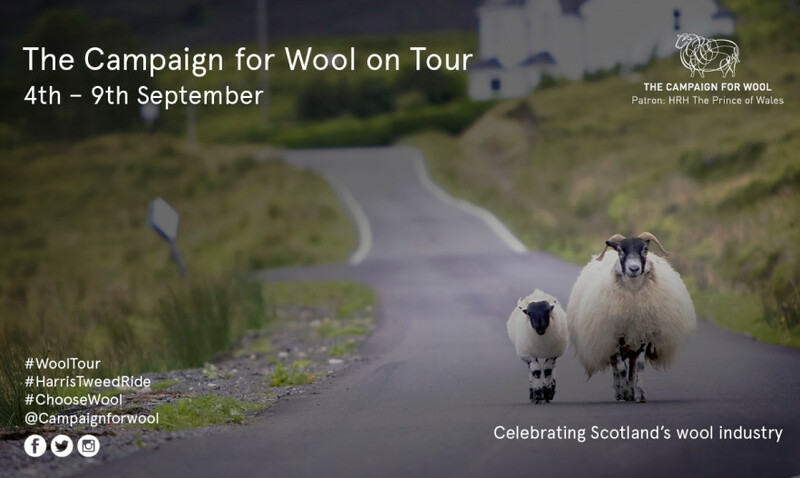 The #WoolTour is a four-day road trip celebrating the work of the artisans, makers, outfitters, and manufacturers who contribute to a Scottish textiles industry which is worth over £840m per year to the UK economy. The #WoolTour will culminate in the largest and most prestigious gathering of wool experts ever held in the United Kingdom at the Dumfries House Wool Conference. 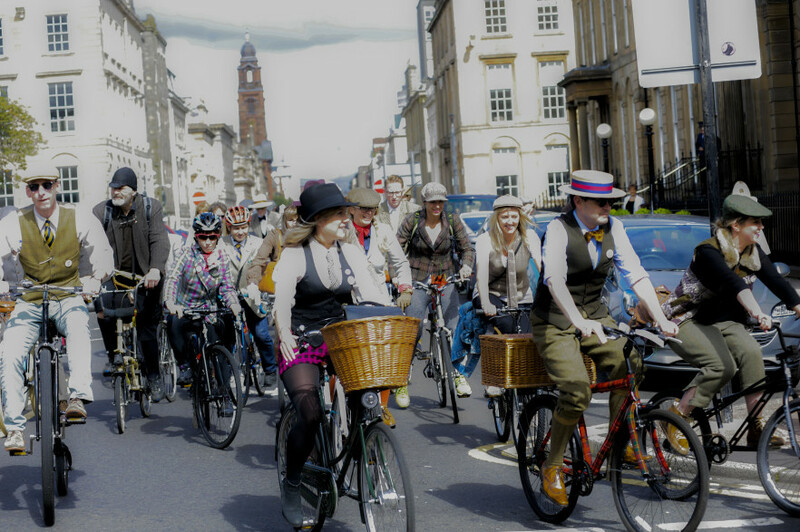 Starting on Sunday 4th September at the Harris Tweed Ride we’ll kick off the fun at the annual feast of wool cycling style which convenes at noon for tea at the Blythswood Hotel, Glasgow. 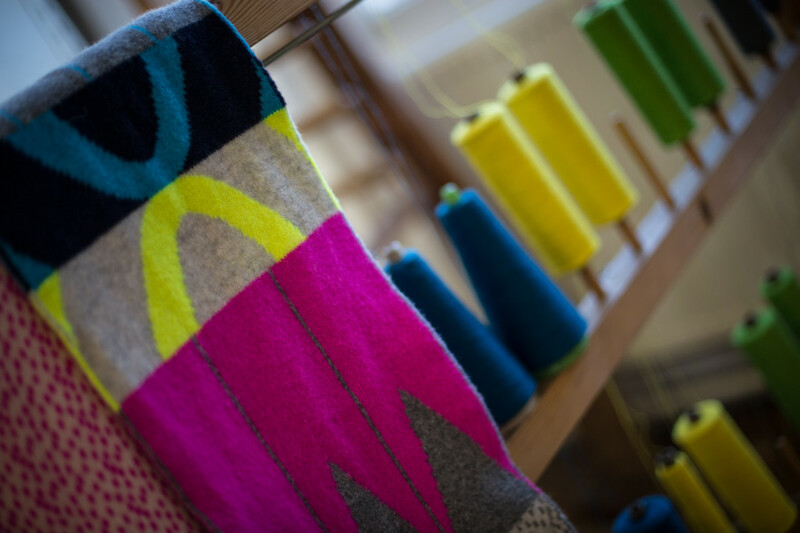 The ‘Wanderful Wool Tour’ will pull up for ten pitstops at Glasgow’s finest establishments to ensure spirits remain high, there’s a pop-up Shetland wool installation featuring the fabulous Kate Davies, and a party back at the Blythswood from 7pm with music from Rebecca Vasmant. Tickets are a mere £15 each – buy yours here and join us for a brilliant day out. 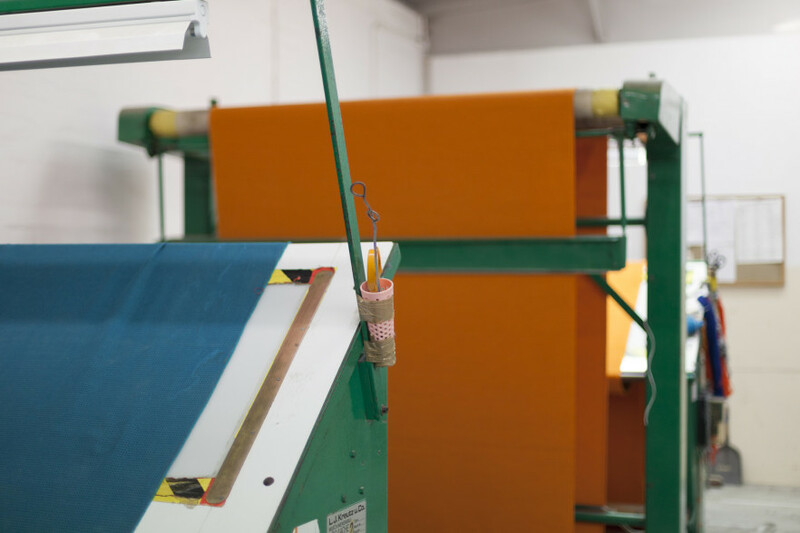 We start Monday by catching the ferry out to Bute Fabrics, the island’s eponymous weavers known for their bright, wool-rich tweed and boucle interior cloth loved by designers around the world. 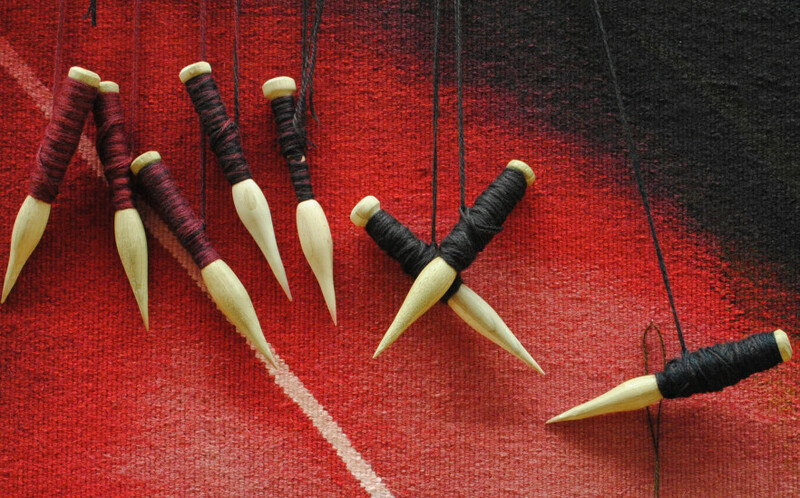 On our way back from Bute we’ll be stopping off to meet Ange Sewell, a handweaver who runs workshops from her Weftblown studio in West Kilbride. Ange’s collection of wool accessories is inspired by the ever-changing weather she encounters in her local surroundings. Tuesday 6th September – Edinburgh and Peebles. We start the day at the internationally renowned Dovecot Tapestry Studio and gallery, then move onto contemporary tweed outfitters Walker Slater, who bring a modern sensibility to traditional tweed cloth. We finish off the day by meeting fine, worsted cloth merchants Holland and Sherry in their Peebles office. Shown above: Butterfly, by Alison Watt. Woven by Jonathan Cleaver, David Cochrane, Rudi Richardson, Naomi Robertson and Freya Sewell in the Dovecot Tapestry Studio. Schofield Dyers and Finishers started life finishing cloth for local tweed weavers in 1958, they now offer a full range of services previously not available in Scotland. We’ll also meet Eribé, one of the largest the hand knitting businesses in Europe, founded 30 years ago by knitwear designer Rosemary Eribé and new Merino performance cycling brand Findra who are making waves with their highly desirable range of gear for women. We’ll be making our way to the Dumfries House Wool Conference, described by our Patron, His Royal Highness The Prince of Wales, as the ‘Davos of Wool’. Experts will gather to discuss the most pressing issues and opportunities for the wool industry and we’ll be there to capture the final preparations. Confirmed guests and participants for the Dumfries House Wool Conference include Steve Rowe, Marks & Spencer CEO; British designer Sir Paul Smith; Paolo Zegna, chairman of Ermenegildo Zegna; Nicholas Coleridge CBE, President of Condé Nast International and Chairman of The Campaign for Wool; Alan Savory, President and Co-Founder, The Savory Institute; Alan Folwell, Chairman of Adam Carpets, Livia Firth, Founder and Creative Director of Eco- Age and model David Gandy.